Happy New Year! We have only just returned from 10 days away in Tasmania (posts to follow about that trip). A tricky challenge set this week by Cheri Lucas Rowlands at The Daily Post. Here is our entry, a photo we took when we were travelling the Romantic Road in Germany! The Rothenburg Clock Tower – there is a window on either side of the clock that opens on the hour between 11 am and 3 pm and then at 8pm to 10 pm. Inside the window, you see the legend of the town mayor who drank a LOT of wine as a challenge to save the town from war in 1631! This entry was posted in Germany, Weekly Photo Challenges and tagged Photography, postaday, Travel, Weekly Photo Challenge. Within thirty seconds of seeing the challenge, we knew which picture to choose. 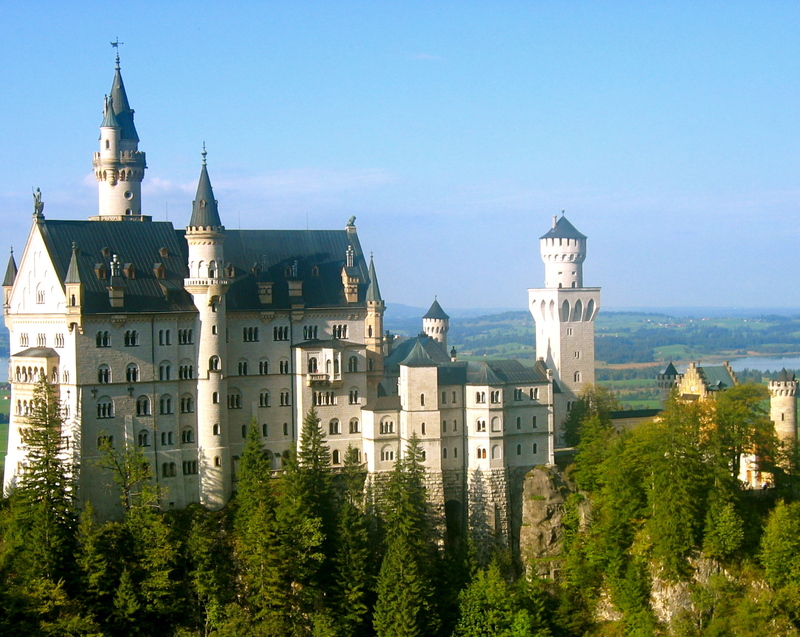 Neuschwanstein Castle in Bavaria, Germany is GRAND – not only in size but also in wow factor! It is the beautiful castle nestled in the mountains and the scenery surrounding it is also grand! This entry was posted in Germany, Weekly Photo Challenges and tagged Bavaria, Castle, Daily Post, Germany, Neuschwanstein Castle, Photography, postaday, Weekly Photo Challenge. During our travels, we always experience or see something unexpected: sometimes good, and sometimes not so good. But unexpected also doesn’t necessarily need to fall into either of those categories. Back in 2006, Germany was the host of the Football World Cup. We were driving through the Romantic Road in Germany several months after the World Cup had ended. What Mr WiseMonkey saw in the male bathroom was completely unexpected. He had to run back out and ask Mrs WiseMonkey for the camera to capture this unexpected sight…. 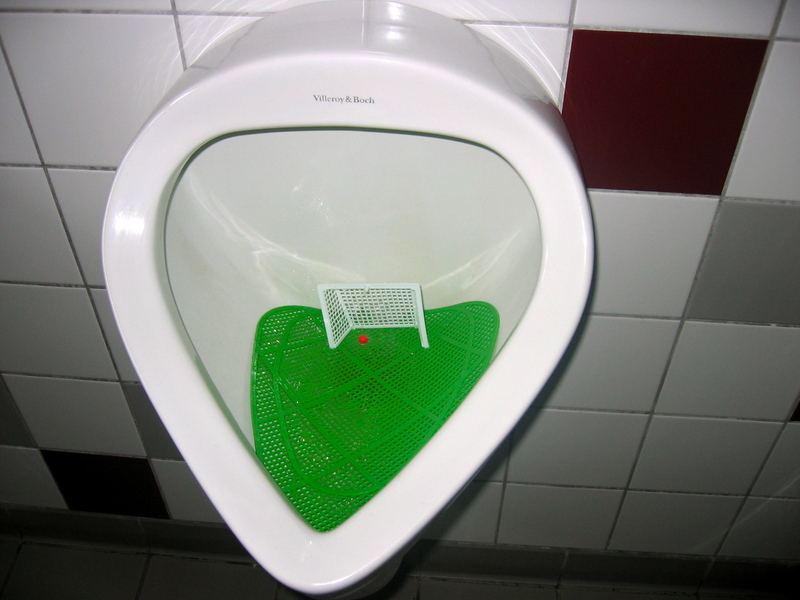 And if you “play” correctly, you can score a GOOOOOOOOALLLLLLLLL! This entry was posted in Germany, Weekly Photo Challenges and tagged Daily Post, football, Germany, postaday, soccer, World Cup. Got the keys to our hire car, an upgrade to a Mercedes, which was equipped with a sat nav (thank goodness)! Except that the directions were in German so before we could get out of Frankfurt we needed to work out how to communicate to “Olga” in English. And once we did, Olga was so very helpful, it made our road trip through Germany child’s play. A thing about driving in Germany, which we were fully aware of before we decided to do this trip, was that there are no speed limits on the autobahn. Little did we know how nerve-racking it would be to start off with. Cars, vans, motorbikes alike were all zooming down that right-hand lane at speeds we didn’t even know road vehicles could go. Yes, we had always seen on car odometers that the dials do go up to 220 kph (or beyond) but to witness it, not on a race track, is a different ball game altogether. So we began cautiously but we soon hit speeds of 150 kph, which is much faster than anything Australian roads would allow. In four days, we had become speed demons, that still had no idea how to work our hire car’s headlights or windscreen wipers! We’d worry about it when we needed to. 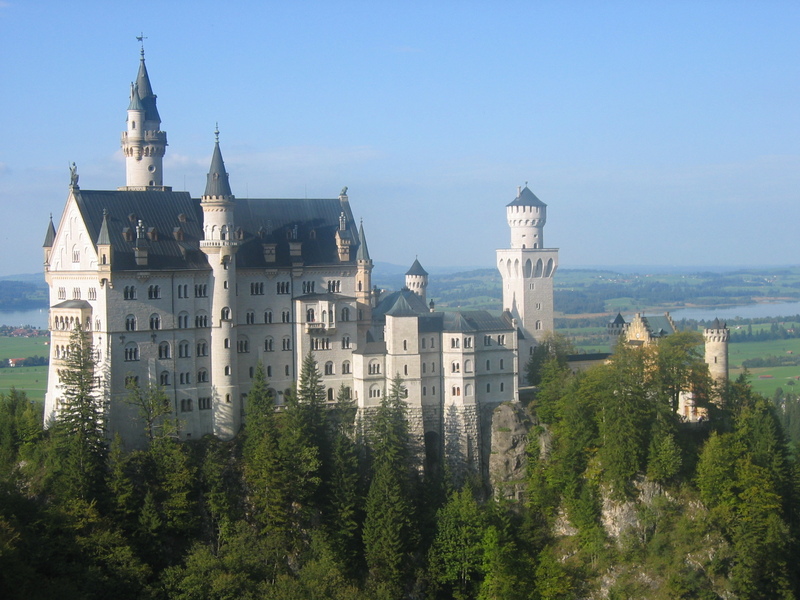 And all this for the ultimate destination: Hohenschwangau, the home of Neuschwanstein Castle. The moment we glimpsed at it high in the mountains was while we were driving around a bend and there was the dreamy home of King Ludwig II nestled in the side of the mountain, a pure fairy tale image. The extravaganza before the curtains come down for Germany! This entry was posted in Germany and tagged Car rental, Frankfurt, Germany, Hohenschwangau, King Ludwig, Ludwig II of Bavaria, Neuschwanstein Castle, Speed limit.